I remember quite vividly the first time I drove a Cadillac CTS sedan in anger. It was at one of those GM ride & drive events that were all the rage before the 2008 carpocalypse killed many a marketing boondogle budget item -- but GM put us in the seats of a CTS, BMW 3-series, and some kinda Volvo (forget which one...it was that good) and told us to tear up an autocross style parking lot cone track. 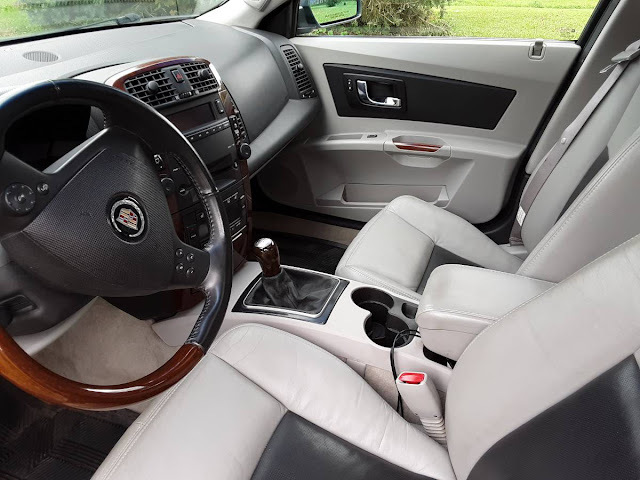 The BMW handled the best out of all of the cars, but the CTS was shockingly well composed compared to the previous "grandpadillacs" that we were used to seeing from the brand that claims to be "the Standard of the World". The CTS in 2.8 or 3.6 liter trim wasn't as fast as the CTS-V version, but the V6 was peppy and the car was happy to NOT attract the attention of the 5-0 or leave pieces of carbon fiber and plastic on every speed bump in town. Prices when new were approaching an Audi/BMW/Merc, but now they are used and cheap cheap cheap..which is exactly how I like my manual gearbox equipped late model luxury sedans. 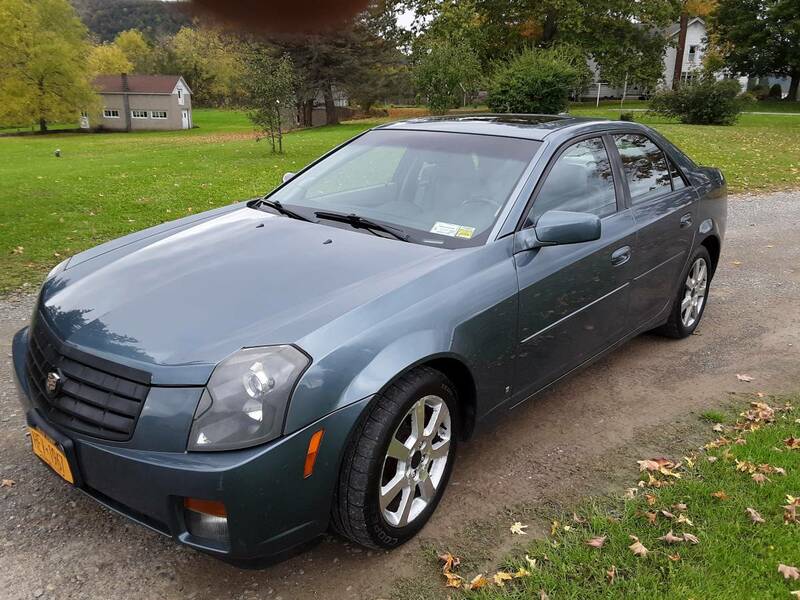 Find this 2006 Cadillac CTS offered for $4,500 in Cohocton, NY via craigslist. Tip from Joker. I've always liked these, and even more now that they're so cheap. Anyone here have first-hand ownership experience? Are they good to live with? Major faults? Honestly, very appealing. If this was the wagon version, I would be planning a springtime drive to NY state, as it is within an easy driveable distance. I also look forward to hearing some real-work experiences. Hard pass. It's GM, plus it is in the early stages of metal moth infestation. If I had to have one, I'd look in the South. My 92 year old grandfather has a 2006 with 3.6, auto, and about 35k miles. It is shocking how poorly put together it is. I feel bad that the man wanted a Cadillac his entire life and this is the turd he ended up with. Yep, in the middle of no-where. Been there, done nothing. So this car was intended to compete with the BMW 3-Series of the era? Well, for this price, you could easily buy an E46 or E90 330i sedan of that general era with comparable mileage and in compable shape, with a 6-speed, and have money left over. And it would be a better car than this Caddy in just about every way, wouldn’t it?